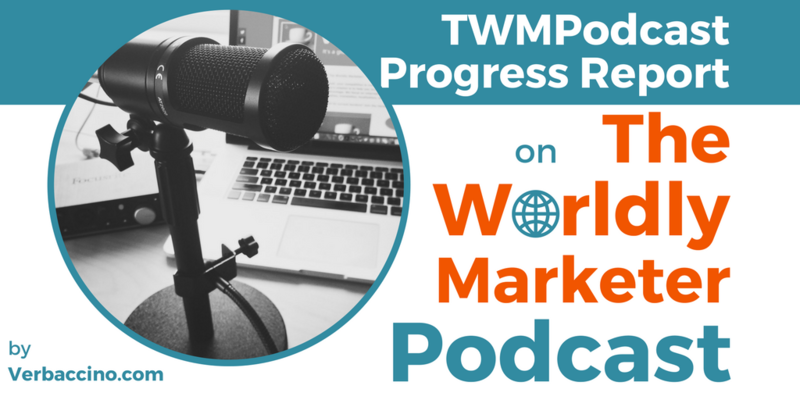 I launched The Worldly Marketer Podcast in May 2016. By the time this episode goes live, I’ll have been podcasting for just under nine months, and I’ll have published 48 episodes, including my introductory episode. When I first started podcasting, I had no pre-existing audience to speak of. Yes, I had been blogging for a couple of years, but only intermittently. And I had just recently pivoted my business to focus more on international marketing strategy. From the beginning, my goal for the podcast was to build an audience of potential clients for Verbaccino. My target listeners: North-American business owners and marketers who want to grow a more international customer base. So for the past nine months, I’ve been interviewing a different expert every week. From each new guest, I’ve gained important insights about what it takes to build a global business. And I’ve enjoyed sharing those insights with my growing audience. On top of that, I’ve also made some valuable and lasting connections in the international business, marketing and localization communities – a benefit I hadn’t even thought of before I launched the podcast. What I truly hadn’t expected, though, is that the podcast itself would go global. 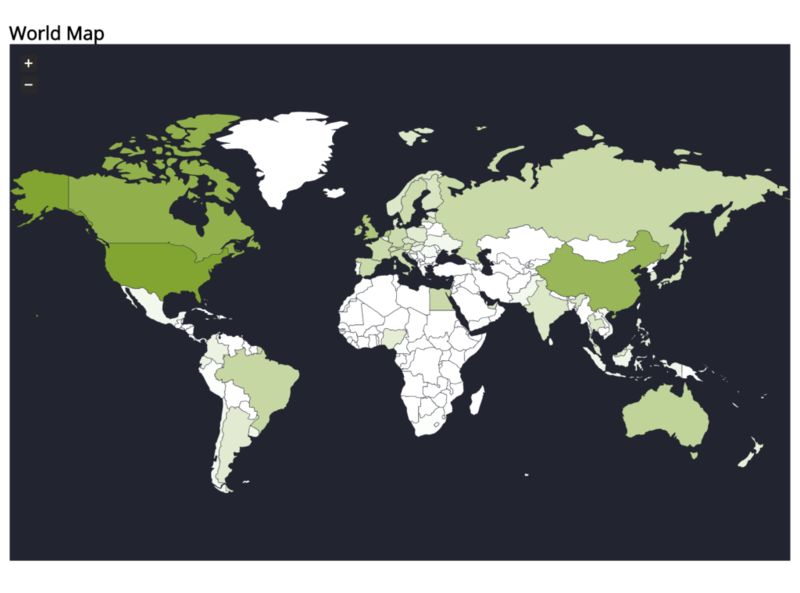 Looking at the ‘Geographic Stats’ chart (above), nearly half of all TWMPodcast downloads so far have come from listeners based in the U.S.A. and Canada. 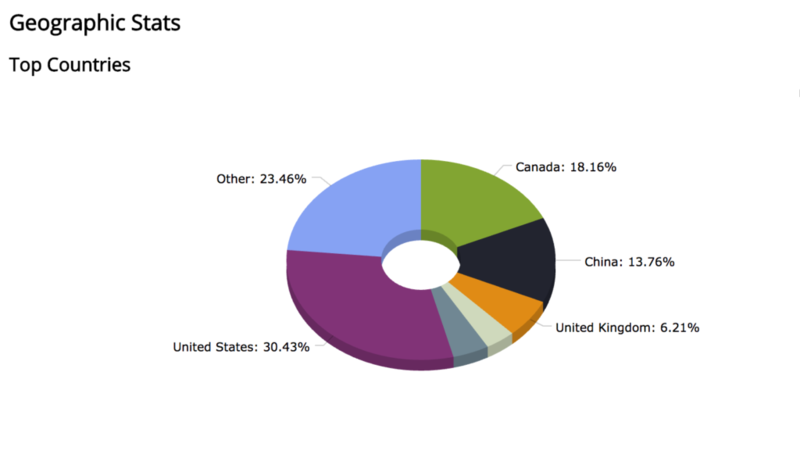 The other 50%+, however, have come from listeners all around the world, from every continent except Antarctica. I never imagined, when I launched this podcast, that my audience would turn out to be so geographically diverse. It’s amazing and humbling. Thank you! 谢谢! Mòran taing! Diolch! Dank je! Go raibh maith agat! Obrigada! Спасибо! !شكرا ¡Gracias! Gràcies! Merci! Danke! Tack! Grazie! ありがとう！Paldies! Kiitos! धन्यवाद! !آپ کا شکریہ நன்றி! આભાર! ধন্যবাদ! ಧನ್ಯವಾದ! धन्यवाद! ਤੁਹਾਡਾ ਧੰਨਵਾਦ! !مهرباني ధన్యవాదాలు! Děkuji! Takk! ขอบคุณ! Terima kasih! Hvala! Tak! Dzięki! 감사! Vďaka! Na gode! Daalụ! E dupe! Salamat! Mauruuru koe! Aitäh! 謝謝! Köszönöm! Terima kasih! Дякую! Cảm ơn bạn! Ευχαριστώ! !תודה! אדאנק ຂອບ​ໃຈ! ඔබට ස්තුතියි! Mulțumesc! Хвала вам! Dankie! Asante! Enkosi! Ngiyabonga! You are my community of Worldly Marketers, and I appreciate each and every one of you. I hope that you’ve enjoyed listening to The Worldly Marketer Podcast as much as I’ve enjoyed producing it, and that you will continue to tune in. And, of course, I would love to hear from you, so please don’t hesitate to send me your comments or suggestions. Let’s keep on learning and growing together!